The roomy bottoms come with functional pockets and give a fresh breath to modern essentials. Sure, this is a niche clothing staple, as most cargo pants look cute on no woman. Fashion says, forget about your silhouette, it’s time to make a big surprise, by creating unthinkable combinations. If you are into functional fashion, then you gonna be delighted to wear these bottoms. Pockets have a big comeback in fashion. A fabulous look consisting of a white shirt tucked in dark green cuffed pants. The outfit is completed with cool sunglasses, rugged belt and black leather ankle boots. Speaking of shirts, I do recommend to check my post on how to wear button-downs and blouses. The 1990’s revival is pretty massive this year. 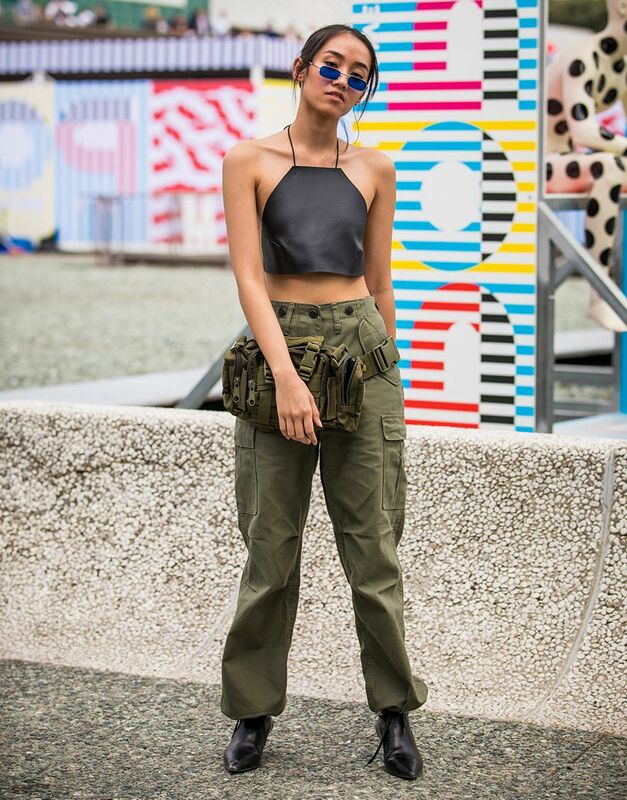 You can style cargo pants with sequined slouchy vests, jumpers, simple tees and tunics. 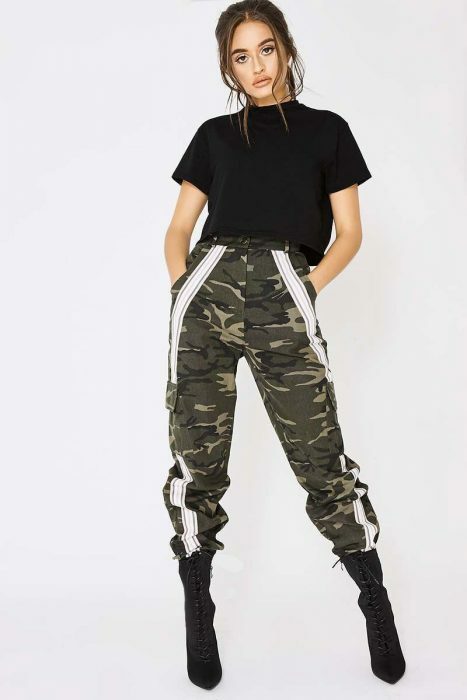 Designers offer slouchier styles of these trousers, but you can still find classic army green versions that can be teamed with lacy tops, bombers and other versatile tops and jackets. I must admit, today’s cargo pants are surprisingly wearable. 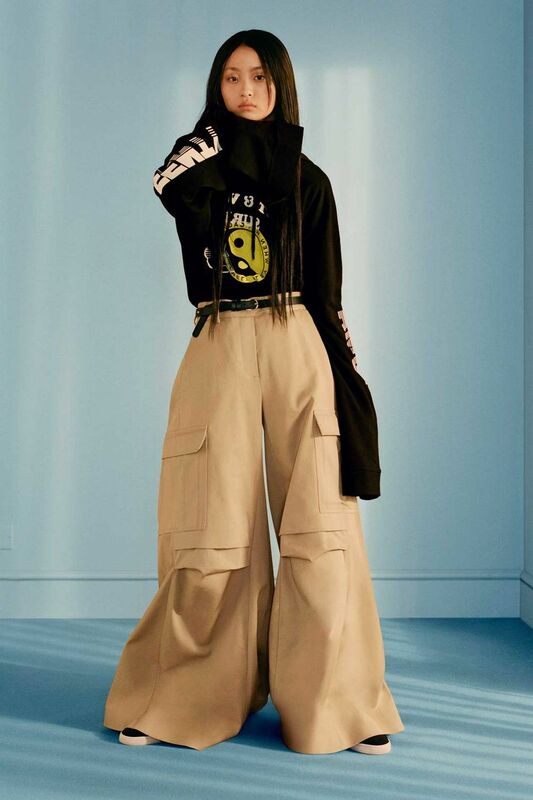 There won’t be people who have a neural behavior to cargo pants, you either love or hate them. I personally recommend to give them a try and go for some fashion experiment. I am pretty sure, if you hate them, then you will reconsider your opinion. Trust me, once you try cargo pants on, you will fall in love with modern minimalism and 1990’s grunge fashion.